These days WannaCry ransomware attack is the most ongoing cyber attack of the WannaCry (or WanaCrypt0r 2.0, WannaCrypt, Wanna Decryptor ransomware computer worm) which are focusing on the Microsoft Windows operating system, encrypting data and demanding for the ransom income in the cryptocurrency bitcoin. This attack came into focus on Friday, 12 May 2017 and has been stated as unprecedented in scale, and its results are seen over more than 230,000 computers in almost 150 countries. The targeted countries according to the latest report are Russia, Ukraine, India andTaiwan, but parts of Britain's National Health Service(NHS), Spain's Telefónica, FedEx, Deutsche Bahn, and LATAM Airlines were hit along with many others worldwide. 1. If you are the user of Windows then you need to install the patch that was introduced by the Microsoft and released in order to block the specific exploit against the WannaCry ransomware. You can read all the instructions that might be required by you on this page in the Microsoft Knowledge Base. Even you can directly download these patches based on your OS from the Microsoft Update Catalog. 2. If in case you are using an unsupported version of Windows like Windows 2008, Windows XP or Server 2003, then also easily get the patches for your OS which are unsupported from the Update Catalog. It is recommended by the experts that you should update your OS to a supported version of Windows as soon as possible. 3. You should always keep the Update version of Antivirus software definitions on your system. Usually, AV vendors have added the feature of detection capability in order to block WannaCry. If you are facing any issue with the antivirus and want experts advice then feel free to contact Antivirus Support in Gurgaon. 4. It was recommended by the experts that you should always enable the option of anti-virus software on your Windows machine. We suggest you enable the option of Windows Defender which is cost free. 5. Remember to keep the Backup of all your data on a regular basis and make sure that you have even offline backups. In that way, if you even get infected with ransomware, it becomes tough to encrypt your backups. 6. 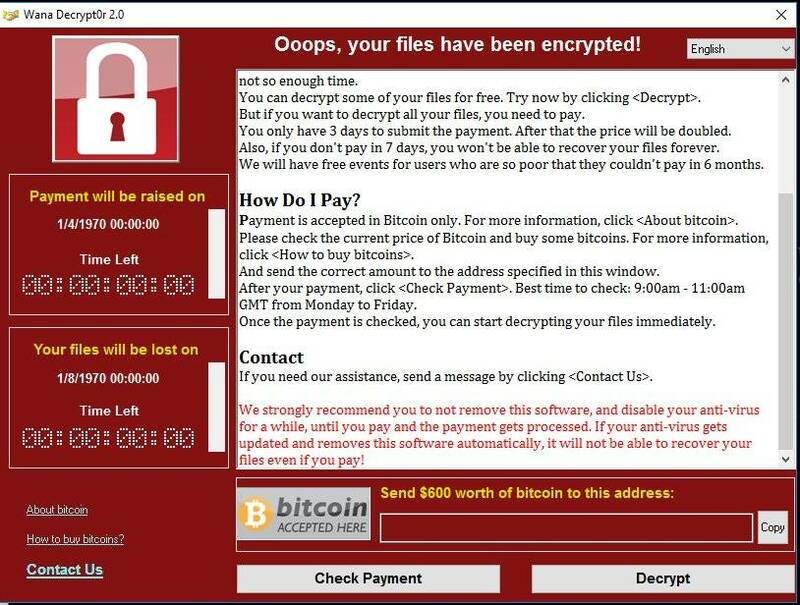 For more information, you can even go through Microsoft that has released customer guidance against the WannaCry attacks and apart from that even Troy Hunt has organized with an excellent detailed write-up based on WannaCry ransomware. 7. You should disable the option of SMB on your host's system where it is not required. 8. Give users training against security related to spotting e-mail threats and social engineering techniques. 9. Make sure that networks which are used for hosting are not actually accepting incoming internet traffic over 139/445 (SMB) if it is not needed. If in case it was required to expose a host over incoming INTERNET traffic then try to keep it up to date along with the latest security patches. 10. Check all the possibility that the Remote Desktop Protocol (port 3389) should not expose over the internet. In the case of RDP over the internet which might need for your organization is recommended by the users to connect o the network via a VPN tunnel before utilizing RDP for remote access.